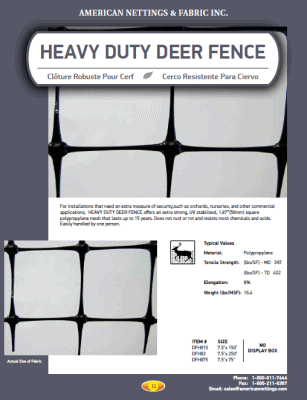 Heavy Duty Deer Fence was designed for installations that require an extra measure of security. It is easily handled and installed by one person. For suggestions and more information, please see Product Description below. 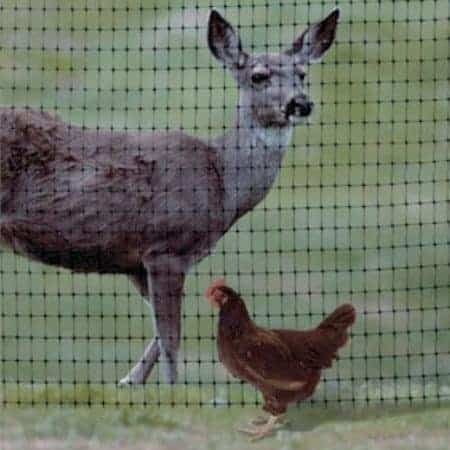 Please see Deer & Poultry Fencing and/or Garden Fence for products with similar applications. 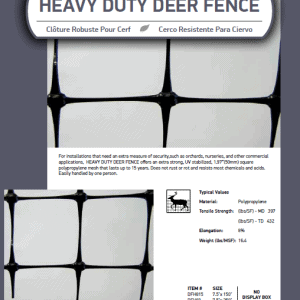 For discounted Heavy Duty Deer Fence, please see Heavy Duty Deer Fence Odds & Ends. 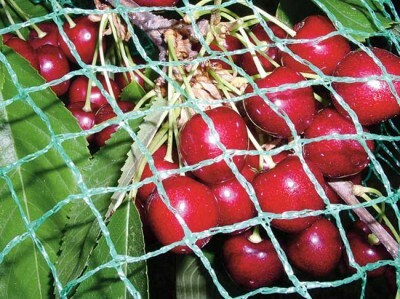 For installations that need an extra measure of security, such as orchards, nurseries, and other commercial applications. 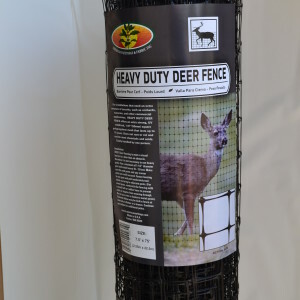 Heavy Duty Deer Fence offers an extra strong, UV stabilized, 1.97″ (50mm) square polypropylene mesh that lasts up to 15 years. 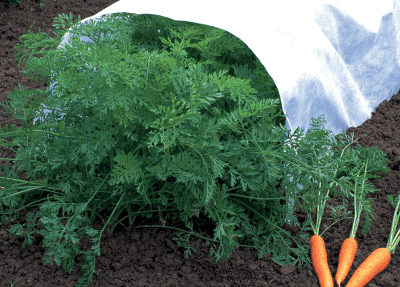 Does not rust or rot and resists most chemicals and acids. Easily handled by one person. 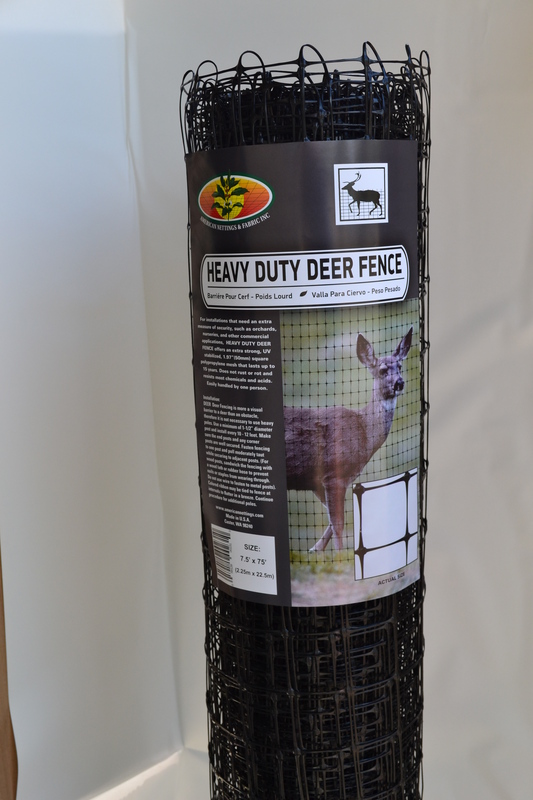 Physically shocks the approaching deer, which many gardeners have issues with. Can tear clothing or cut skin, with heightened risk of tetanus or other infections. 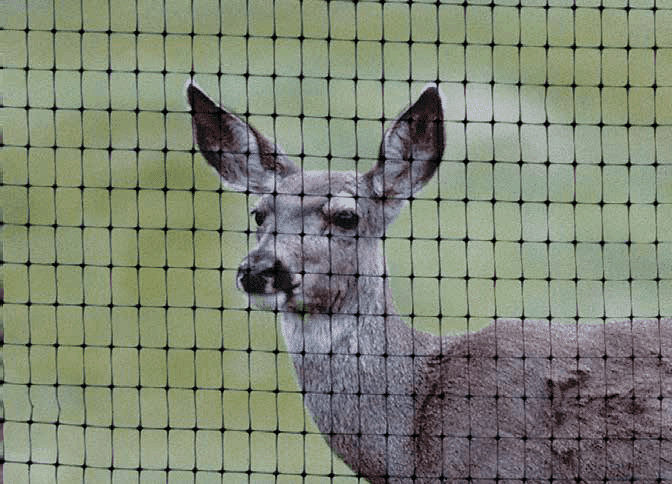 Deer Fencing acts as more of a visual barrier than a physical obstacle, therefore it is not necessary to use heavy poles. 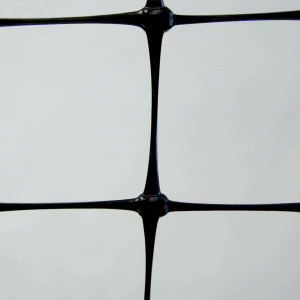 Use a minimum of 1-1/2″ diameter post and install every 10-12 feet. 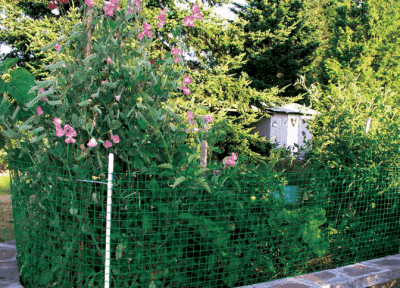 Make sure the end posts and any corner posts are well secured. 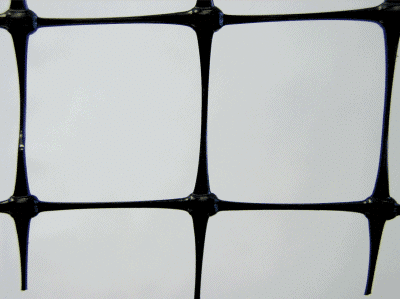 Fasten fencing to one post and pull moderately taut while securing to adjacent posts. 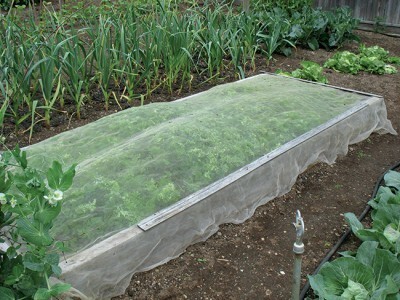 For wood posts, sandwich the fencing with a wood lath or rubber hose to prevent nails or staples from eating through. 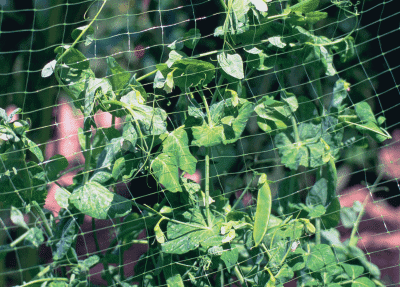 Do not use wire to fasten to metal posts. Colored ribbon may be tied to fence at intervals to flutter in a breeze. Continue procedure for additional poles.